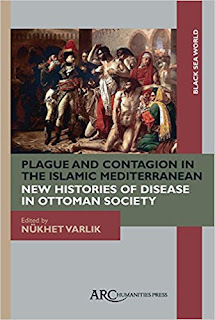 The Hellenic Department of Balkan Medical Union organizes an International Conference on History of Medicine, under the auspices of the University of Crete, the Medical School of Crete, the Biomedical Research Foundation of the Academy of Athens, the University Institute of History of Medicine, Claude Bernard University, Lyon, France and the Pan-Hellenic Medical Association. The Conference will take place on Tuesday 6th of June 2017, in Heraklion, Crete, Greece at the postgraduate Auditorium of Medical School, University of Crete. Aim of the conference is to highlight the medical achievements of ancient Greek and Indian medicine, as well as, their interactions and influences through centuries and their impact in the practice of modern medicine. The Conference is addressed to health professionals, students and to the general public. The registration and participation at the Conference is free of charge and at the end of the Conference a certificate of attendance will be given. Deadline for abstracts’ submission: 17 April 2017. Official languages of the Conference: English, French. Abstracts will be submitted in English or French, in a single version (as word file .doc or .doxc), up to 400 words, font Times New Roman, size 12 points. Attn: Marianna Karamanou, MD, Ph.D, Tel: (+30) 6973 606804. Death: Confronting the Great Divide. Nineteenth-century French visitors to Morocco remarked that pilgrims in North Africa visited the tombs of Islamic “saints” (awliya’) searching for healing from a variety of mental, physical, and moral afflictions. These were dead who brought healing to the living—through touch, prayer, or cures performed at the shrine. The Moroccan jurist Hasan al-Yusi (d. 1691) called these saints “a medicine and a cure,” for the saint “connects the various layers of reality to one another;” he is an axis around whom reality revolves (qutb) and a murabit (marabout, one who binds men to God). Saint tombs also have political significance. In visiting graves, Moroccans constructed a topographical map of the collective past, a geographical representation of the Islamic political community (umma) and God’s presence in the world, a political imaginary yet contested in the contemporary world. The key connecting the living to the dead is knowledge, a knowing that realizes the potentiality of the human body as an isthmus between the “oceans of God and the Cosmos,” as the Qur’an describes, and a station for the Lord of the Two Worlds to reside. In this talk, we consider the hagiographical compendium of Muhammad ibn Ja’far al-Kattani, Salwat al-Anfas wa Muhadathat al-Akyas bi man Uqbira min al-Ulama’ wa al-Sulaha bi Fas, and the city of Fez. In Morocco, we see how this knowing operated in physical space and time, and how French colonial interventions and science impacted Moroccan understandings of death and life. Ellen Amster is the Jason A. Hannah Chair in the History of Medicine and is jointly appointed in History and the Department of Clinical Epidemiology and Biostatistics in the Faculty of Health Sciences. She has been a Fulbright scholar, a Chateaubriand scholar of the French government, and received her Ph.D. in history from the University of Pennsylvania. She is a historian of the Islamic world, France, and medicine. Her research addresses the relationship of citizen bodies to the body politic, the history of biomedicine in global context, religion and science, birth and maternal health, the body as the center of political sovereignty, and the encounter of French and Islamic scientific epistemologies. Her 2013 book, Medicine and the Saints: Science, Islam, and the Colonial Encounter in Morocco, 1877-1956, is an interdisciplinary study of health, healing, and the body in Morocco. For more information, contact humanities-center@ufl.edu. Series Funders and Co-Sponsors: UF Center for the Humanities and the Public Sphere (Rothman Endowment), UF Smathers Libraries, UF Office of Research, School of Art + Art History's Harn Eminent Scholar Lecture Series, UF International Center, UF College of Liberal Arts and Sciences, UF Department of History, UF Department of Spanish and Portuguese Studies, UF Center for Latin American Studies, UF Department of Religion, Alachua County Library District, UF College of Veterinary Medicine, UF Digital Worlds Institute, UF Honors Program. For an overview of Death: Confronting the Great Divide, click here. L’intersection entre science et technique est-elle, pour le Moyen Âge, scientifiquement pertinente ? Quels rapports établir entre pensée technique et pensée scientifique, qui sont souvent étudiées indépendamment l’une de l’autre ou, au mieux, selon un modèle historiographique hérité du XIXesiècle faisant de la technique une simple application de la science ? 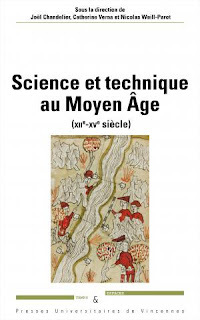 Ce volume, réunissant les recherches d’historiens des techniques et d'historiens des sciences, d'archéologues et de philosophes, propose un examen attentif des modalités de ce croisement à travers des contextes et des démarches spécifiques. L'ouvrage embrasse le domaine de la médecine et celui de la construction, la production des draps, des métaux, des alliages métalliques et l'alchimie, la mesure des champs et celle du monde, l'élaboration des instruments scientifiques et celle des machines hydrauliques. Entre discours médical et pratiques alimentaires. Les fruits au Moyen Âge : un alicament avant la lettre ? Table des illustrations et tableaux. Galen of Pergamum (129–c.213 CE) may count as the father of western medicine, whose influence dominated medical history until well into the 19th century. But he saw himself as a philosopher no less than a doctor, and in his voluminous writings we find medical and philosophical perspectives combined. The NWO-funded research project ‘Human Nature: Medical and Philosophical Perspectives in the Work of Galen of Pergamum’ explores Galen’s view of human nature from a variety of perspectives: philosophical, physiological, anatomical, psychological, moral and religious. 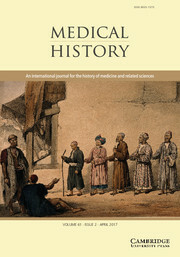 Apart from studying Galen’s position and its intellectual background, the project is designed to contribute to present-day debates on well-being and illness, concepts of humanity in bio-ethics, the societal role of medicine and the doctor as well as multidisciplinarity and discipline-formation. As a postdoc you will carry out the subproject "The Unity of Galen’s Physiology," focusing on the question how far Platonic tripartite psychology, Hellenistic anatomical work concerned with the nervous system and pneumatology have been integrated by Galen into a coherent theory. You will work under the supervision of the project leader Prof Dr Teun Tieleman and complete a monograph within three years. In addition, you will play your part as member of the core research team, which apart from Prof Tieleman will consist of two post-doctoral researchers and a PhD student. As such, you will participate in and contribute to workshops and other activities related to the project. You will be based at the Utrecht University's Department of Philosophy and Religious Studies, section History of Philosophy, which provides a relevant, stimulating and internationally oriented research environment. Interest in interdisciplinary work and societal challenges is considered an advantage. You will be offered a full-time Postdoc position (1.0 FTE), initially for a period of 12 months. Upon good performance, the contract will be extended for another 24 months (three years in total). The starting salary - depending on experience and qualifications - ranges between €3,193 and €3,427 (scale 10 Collective Labour Agreement Dutch Universities) gross per month for a full-time employment. Utrecht University offers a pension scheme, a holiday allowance of 8% per year, an end-of-year bonus of 8.3% and flexible employment conditions. Conditions are based on the Collective Employment Agreement of the Dutch Universities. More information: working at Utrecht University. For further information about the vacancy, please contact Prof Dr. Teun Tieleman, project leader: t.l.tieleman@uu.nl. More information about the project: Human Nature: Medical and Philosophical perspectives in the work of Galen of Pergamum (pdf). a scan of the PhD certificate. The application deadline is 1 April 2017. Interviews will be scheduled for 10 and 12 April 2017. Employment will become effective as soon as possible. The Department of History was ranked 5th of all UK History departments in the 2014 REF with 86% of our research activity assessed as ‘world leading or internationally excellent’. It is a research-led department with a strong reputation for contribution to scholarship, teaching and practice. The Department is located on the Strand Campus of King's College London where the studentship will be based. Two academic references must be received by the deadline for the application to be eligible. Candidates are responsible for instructing referees to submit their references to graduateschool@kcl.ac.uk using the subject line ‘RT Scholarship 1718 – [name of applicant]’. Dans le contexte historique du Xvième siècle, ce livre relate les épisodes les plus épiques de la vie d'Ambroise Paré chirurgien de guerre né vers 1510 et mort en 1590. 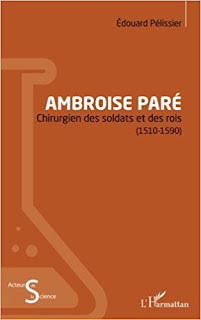 Simple barbier, devenu chirurgien du roi, il a servi dans les armées de François 1er, de son fils Henri Ii, puis successivement avec les trois fils que celui-ci aurait eus avec Catherine de Médicis. Il a opéré des milliers de soldats et de capitaines, de grands du Royaume de France et d'ailleurs, ainsi que les rois eux - mêmes. 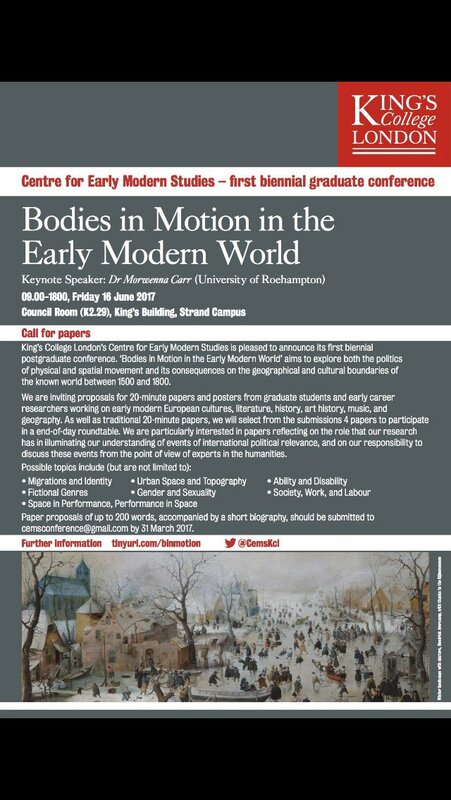 Abstracts for papers of 200-300 words should be submitted no later than June 1, 2017 to Helena Franzén. Please provide your full name, institutional affiliation, and contact details. The format of the workshop will not allow for more than c. 10 papers. We will select the abstracts to be presented at the meeting considering original research and relevance to the theme of the workshop. By June 15, 2017 applicants will be notified if their papers have been accepted or not. 17 x 23 cm, Paperback, 304 p.
Around 1800 anatomy as a discipline rose to scientific prominence as it undergirded the Paris-centred clinical revolution in medicine. Although classical anatomy gradually lost ground in the following centuries, general anatomy remained pivotal in the teaching of medicine. 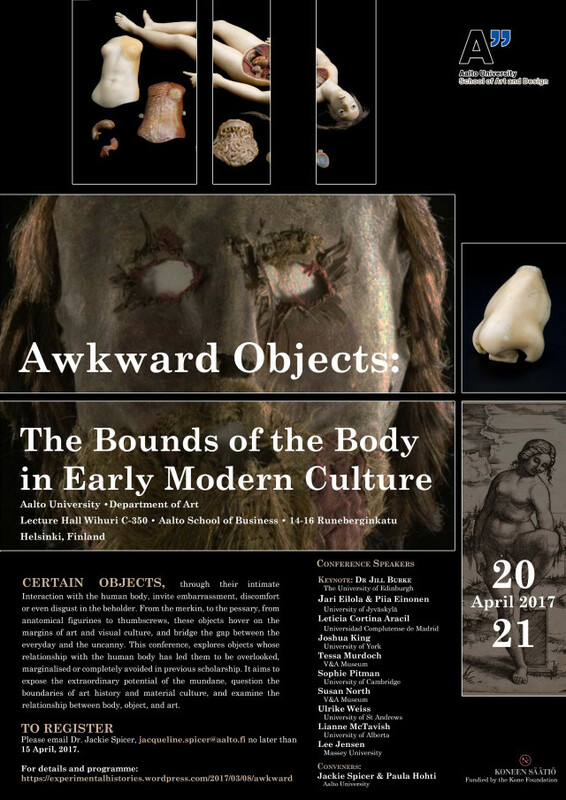 Corpses, anatomical preparations, models, and drawings were used more intensively than ever before. Moreover, anatomy received new forms of public visibility. Through public exhibitions and lectures in museums and fairgrounds, anatomy became part of general education and secured a place in popular imagination. 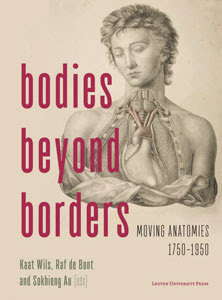 Bodies Beyond Borders analyzes the notion of circulation in anatomy. 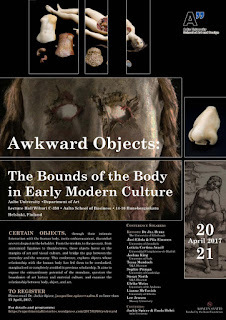 Following anatomy through different locations and cultural domains permits a deeper understanding of its history and its changing place in society. This paper will address rival networks of practitioners competing for the market in opiates in Paris in the decades immediately before 1700. The effects and dangers of opium were subjected to intense scientific scrutiny and experimentation in the community of Parisian apothecaries, as different categories of healers—doctors, apothecaries and operators—contended for profit around particular compound drugs that contained it. Opium became the subject of experimentation by many different individuals and groups in the attempt to render it safe, agreeable and beneficial for European bodies. Apothecaries sought to resurrect an ancient drug and infuse new life into it within the laboratory ; physicians conducted chemical experiments upon it . Yet it proved hard to reach agreement as to opium’s harmful or beneficial effects ; some aspect of its nature proved impossible to ‘domesticate’ in the same way as newer drugs like coffee or tea, or even quinquina. I argue that only by investigating the discrete networks which sold and experimented upon opium and opiates can the historian account for the ways in which opium could be used to generate social, political and financial capital for experimenters as it circulated throughout society. Discussion- Nouveaux aliments & nouvelles drogues - réseaux de productions, d’expertises et de consommations XVII-XIXe siècle. Cette séance sera l’occasion d’ouvrir une réflexion plus générale sur l’histoire matérielle de la chimie et de la médecine. 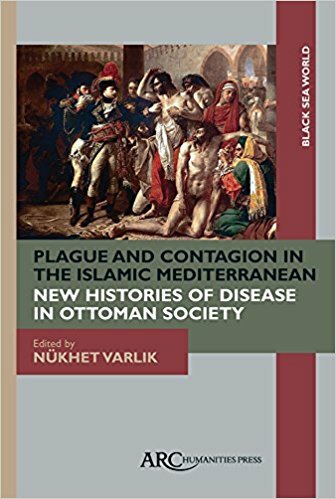 Depuis l’essor de l’histoire de la culture médicale des ‘secrets’, l’histoire des remèdes et des drogues s’inscrit dans le développement de nouveaux marchés alimentaires à l’échelle mondiale (colonies, échanges Orient-occident), tels que le café ou le sucre. En inscrivant la construction des savoirs sur ces « substances » dans un maillage de pratiques et d’usages, il est possible de mettre en lumière la constitution de réseaux de fabricants, d’experts, de revendeurs et de consommateurs qui se déploient dans différents espaces sociaux (de la cour à la ville) et notamment la place jouée par les apothicaires-chimistes dans l’émergence de la chimie alimentaire qui ouvre de nouvelles perspectives industrielles aux sociétés européennes au début du XIXe siècle. Ce séminaire de recherche est ouvert à tous chercheurs intéressés ainsi qu’aux étudiants de Master de l’EHESS, mention « Histoire des sciences, technologies et sociétés » et mention « Histoire et civilisation ». Il se tient le deuxième jeudi du mois, de 14h à 17h au Centre Alexandre Koyré (27, rue Damesme, 75013 Paris, salle de séminaire, 5e étage), sauf indication contraire. After the successful Materia medica on the move conference in 2015, Utrecht University Descartes Centre, Huygens/ING, and Naturalis Biodiversity Centre will host a three-day follow-up conference, again devoted to the circulation of knowledge regarding non-native natural substances that were used in medicine in the early modern period (1500-1800). The conference will take place in Amsterdam, the Netherlands, from 4 till 6 October 2017. · Hybridity in use: The ways in which materia medica have transgressed the boundaries of medical applicability, and how these use categories were culturally defined. · Agency of objects: How inherent natural characteristics of substances, and cultural identities acquired in the global circulation process, have shaped and transformed the meaning of materia medica. · Collections and collectors: How collections of materia medica, collected drawings of materia medica, herbaria and the like reflect the ideas and visions of the collectors. · Commodification: The processes that turned materia medica into consumer products, making them recognizable and knowledgeable for a large audience; and the people and places associated with these processes. · Identity formation: The ways in which medicinal natural substances, and knowledge about them, has shaped social and cultural identities across European and non-European cultures. · Knowledge and power: The mechanisms that have been used to create and maintain positions of power (often associated with “empire”) based on new knowledge and goods in the domain of materia medica. The conference fee is €100,=. Please be aware that this fee does not include accommodation. MA-students may apply for a reduced conference fee of €60,=. Registration will open in April. Baynton Douglas C. , Defectives in the Land: Disability and Immigration in the Age of Eugenics (Chicago, IL, and London: University of Chicago Press, 2016), pp. 192, $35.00, hardback, ISBN: 978-0-226-36416-2. Decamp Eleanor , Civic and Medical Worlds in Early Modern England: Performing Barbery and Surgery (Houndmills, Basingstoke, Hampshire and New York: Palgrave Macmillan, 2016), pp. xii, 277, $95, hardback, ISBN: 978-1-137-47155-0. Dickinson Helen and O’Flynn Janine , Evaluating Outcomes in Health and Social Care (University of Bristol: Policy Press, 2016), pp. xviii, 144, £12.99, paperback, ISBN: 978-1447329763. Donovan Pamela , Drink Spiking and Predatory Drugging: A Modern History (New York: Palgrave MacMillan, 2016), pp. 294, $99.00, hardback, ISBN: 9-781137-575166. Elmer Peter , Witchcraft, Witch-Hunting, and Politics in Early Modern England (Oxford: Oxford University Press, 2016), pp. 384, £65.00, hardback, ISBN: 978-0-19-19-871772-0. Guarnieri Patrizia , Italian Psychology and Jewish Migration under Fascism from Florence to Jerusalem and New York (Basingstoke and New York: Palgrave Macmillan, 2016), pp. xv, 275, $100.00, hardcover, ISBN 978-1-137-30655-5. Handley Sasha , Sleep in Early Modern England (New Haven, CT, and London: Yale University Press, 2016), pp. xii + 280, £25.00, hardback, ISBN: 9780300220391. Harvey William , Willis Robert (trans. ), Carty Jarrett A. (ed. ), On the Motion of the Heart and Blood in Animals: A New Edition of William Harvey’s Exercitatio anatomica de motu cordis et sanguinis in animalibus (Oregon: Wipf and Stock Publishers, 2016), pp. xi, 95, $17.00, paperback, ISBN: 978-1-4982-3508-2. Reuter Shelley Z. , Testing Fate: Tay-Sachs Disease and the Right to be Responsible (Minneapolis, MN: University of Minnesota Press, 2016), pp. 264, $27,00, paperback, ISBN: 978-0-8166-9996-4. Trimble Michael R. , The Intentional Brain (Baltimore, MD: John Hopkins University Press, 2016), pp. x, 308, $29.95, hardback, ISBN: 978-1-4214-1949-7. Zysk Kenneth G. , The Indian System of Human Marks (Leiden: Brill, 2015), pp. xvi, 954, 2 vols, €249,00, hardback and e-book, ISBN: 9789004299726. Much has been written about how driving to visit patients inflected William Carlos Williams's work, but another form of mobility in his work – walking – has not been explored. His descriptions of walking move from the clinical to the aesthetic. This paper examines his complex depiction of walkers and as well as his own walking through cityscapes in some short poems, Paterson, and his translation of Phillipe Soupault's Last Nights of Paris. Ma communication porte sur ce qu’un poète a appelé la « muse à l’officine » : les vers publiés par des pharmaciens en exercice qui évoquent leur métier. Je ne traite pas directement de la poésie scientifique ou publicitaire, ni des œuvres publiées par d’anciens pharmaciens. Le corpus recueilli se constitue principalement suite à la reconnaissance légale du titre de pharmacien et à la création de la Faculté de Pharmacie en 1803. Il se réduit fortement après la Seconde Guerre mondiale, suite à l’homologation légale des médicaments et au contrôle exercé sur leur fabrication, mais il connaît une importante période de transition entre les deux guerres lorsque de jeunes firmes pharmaceutiques en font un argument de publicité et de légitimation. Krankenakten bilden gewissermaßen das schriftliche Herzstück klinischer Kommunikation. Doch inwiefern schreiben sie sich auch in das schriftstellerische Werk von Dichter-Ärzten – als Experten sowohl der ars medica als auch der ars poetica – ein? Und welche medizinethisch bedeutsamen Effekte könn(t)en solche ‚literarischen Krankenakten‘ wiederum auf Theorie und Praxis klinischer Sprech-, Denk- und Handlungsweisen haben? Publiée en 1911 et 1913, l’Anthologie hospitalière et latinesque de Courtepaille, pseudonyme d’Edmond Dardenne Bernard, réunit des « chansons de salle de garde » et autres vers d’étudiants en médecine (les carabins), probablement composés entre 1850. Cette poésie, volontiers scatologique et grivoise, offre l’équivalent verbal des décorations des salles réservées aux internes. Comme ces peintures, elle est donc restée longtemps confinée aux cercles médicaux, non seulement parce qu’elle faisait des enfants d’Hippocrate autant d’érotomanes, mais parce que l’humour noir y raille les vertus associées au bon médecin. Si cette poésie carabine semble avoir constitué une sorte de canon honteux, méconnu du public mais familier aux médecins français qui, plus tard, feront officiellement œuvre de poètes, ses fonctions et sa littérarité potentielle méritent donc d’être examinées pour elles-mêmes. Entre deux consultations au domicile de ses patients à Aix-les-Bains, le Dr Cazalis (1840-1909), sous le pseudonyme de Jean Lahor, écrit des vers, comme par exemple les « quatrains d’Al-Ghazali » (1896), en se référant au célèbre mystique d’origine persane (1058-1111). Comment comprendre cette allusion voilée par l’auteur des quatrains à Cazalis, et comment envisager les relations entre le médecin thermal et le poète?? Cette figure du poète-médecin est-elle fraternelle, conflictuelle ou dissociée ?? En 1900, Henri Cazalis est un nom médical connu de toute l'Europe, c'est aussi un poète habitué des cercles de Leconte de Lisle et de Mallarmé. En explorant à la fois l’oeuvre littéraire, les textes médicaux et la correspondance de Cazalis, notamment avec Mallarmé, nous étudierons la construction d’une figure du poète-médecin à la fin du 19è siècle/début du 20è siècle. Quel médecin est Lorand Gaspar ? Et quel poète est ce médecin ? C’est notamment à ces questions, renvoyant l’une à l’autre, qu’il s’agira de répondre, en essayant de saisir le lien, constitutif de l’œuvre de Gaspar, entre une certaine façon de pratiquer la médecine et de la concevoir et la présence, dans le texte poétique, de la médecine, présence qui s’avère déterminante dans l’évolution, en ce siècle, des rapports entre science et poésie. Ce travail propose d’examiner le rapport qu’ont entretenu avec la médecine et ses acteurs deux poètes particulièrement à l’écoute de leur corps. Y seront abordés certains de leurs poèmes, souvent adressés à des médecins, dans lesquels est à l’œuvre un processus d’auto-observation qui mène à interroger le statut même de ces textes (poèmes, documents cliniques ?). On tentera par la suite de cerner, au niveau du style, les différences qui pourraient exister entre le poème « normal » et le poème dit « pathologique ». 10h45 – Yves Schulze (ENS-Lyon) : Antonin Artaud et Gottfried Benn: une poétique des symptômes et du diagnostic ? Au cours du XXe siècle, le regard médical et son langage particulier deviennent des ressources de la création poétique. De quoi l’abondance de symptômes est-elle le signe dans la poésie avant-gardiste ? De quels diagnostics font-ils l’objet ? A travers une étude comparative de l’œuvre poétique d’Antonin Artaud et de Gottfried Benn de l’Entre-deux-guerres, nous nous interrogerons sur les enjeux et les ressorts stylistiques d’une écriture des symptômes, ces signes à la fois troubles et douloureux, tels qu'ils sont perçus par un poète-patient et un poète-médecin." Dans « L’avenir de la poésie », conférence de 1936, Michaux écrit : « Le poète est un grand médecin ». C’est à élucider cette affirmation, émanant d’un poète qui débuta des études de médecine pour finalement renoncer à la carrière médicale, que se consacrera notre propos. Nous envisagerons ainsi, dans l’œuvre de Michaux, les enjeux d’une éventuelle poétique de la guérison fondée sur la pratique de l’auto-observation. C’est en effet dans ce même texte que Michaux, considérant tout à la fois ce que peut ou doit être l’avenir de la poésie, fait intervenir la notion de cénesthésie qu’il a découverte chez Théodule Ribot et son ouvrage Les maladies de la personnalité. Avec Michaux, la cénesthésie est une voie d’accès au domaine de l’écoute du corps, pratique intime et impersonnelle à la fois, forme de savoir archaïque et moderne, grâce à laquelle le poème devient une fenêtre ouverte sur cette région incommensurable où se forme l’impulsion des mots. Ainsi, nous formulerons aussi l’hypothèse que l’œuvre de Michaux, par-delà une poétique de la guérison, témoigne de l’émergence, au XXe siècle, d’une épistémologie de type cénesthésique. Dans son « Discours aux chirurgiens » (1938), Valéry affirme « qu’ « il y a plus d’un style chirurgical », certitude qui pourtant, concède-t-il, ne repose sur aucun savoir. Quel sens peut revêtir aux yeux du poète un tel a priori, qui est la littéralisation d’une formule venue de la critique littéraire, et quelles en sont les conséquences esthétiques ou médicales ? L’œuvre poétique de L. Gaspar – qui fut chirurgien pendant 40 ans – imbrique étroitement les sensations ou émotions du poète face au monde, avec son savoir littéraire et médical. Si l’œil et les gestes du chirurgien s’infiltrent dans les poèmes, c’est que L. Gaspar assigne à la poésie la tâche éminente de dépasser nos perceptions fragmentaires et de recoudre le corps du monde. Georges Duhamel demeure sans conteste l’une des incarnations les plus reconnues de la figure du médecin-poète au cours de la première moitié du XXe siècle. L’interdépendance de la connaissance scientifique et de l’exploration poétique du monde doit répondre à sa quête d’une métaphysique de substitution, et remédier ainsi à son « agnosticisme désespéré ». L’ambition de cette communication est de démêler l’écheveau des interactions de la poésie et de la biologie dans l’évolution de la pensée d’un humaniste soucieux d’alimenter des sources d’espérance dans le cadre d’afflictions collectives et individuelles extrêmes. Nous verrons notamment comment la contemplation intuitive du vivant a progressivement mué en une philosophie morale hybride. Pour Lorand Gaspar, poésie et chirurgie semblent avoir partie liée. Il s'agit de se sentir en équilibre entre agir et penser, de participer à la vie, celle qu'on tente de préserver, mais la sienne propre aussi. Plus l'acte se complique, moins il y a de réponse univoque. Il constitue un accomplissement dans l'espoir d'une maîtrise qui s'abolit dans son geste de préhension. Parallèlement, la photographie, telle le carré chirurgical, isole un fragment découpé dans une totalité qui a par ailleurs sa raison d'être, traversé d'une lumière qui le déborde, et constitue aussi une tentative de capter le vivant sans le borner. Avec Julie Delaloye (médecin, poète), Yves Namur (médecin, poète), Emmanuel Venet (psychiatre, écrivain). En 1912, pendant les troubles politiques qui mènent à la proclamation de la République de Chine, Segalen soigne durant plusieurs mois le fils du futur dirigeant chinois, Yuan Shikai. C’est l’occasion pour lui de réfléchir au rôle de la médecine dans les relations interculturelles franco-chinoises – au point que, dans chacun des deux projets romanesques auxquels il est occupé alors, Le Fils du Ciel et René Leys, il rédige une scène dans laquelle des médecins, chinois et occidentaux, sont présentés devant l’Empereur souffrant. Une étude du rôle de ces représentations de la médecine dans les conceptions de l’altérité de Segalen, lors de ce moment méconnu de sa double carrière, permettra d’enrichir notre vision de l’auteur des Cliniciens ès-Lettres. Jean Métellus (1937-2014), appartient à la diaspora haïtienne contrainte à l’exil par la dictature des Duvalier. Remarqué par Maurice Nadeau, qui publie son premier recueil, Au pipirite chantant, en 1973, salué par André Malraux et ami de Michel Leiris, il n’a pourtant consacré à la poésie que ses nuits, réservant ses journées à la médecine. Professeur au collège de médecine des hôpitaux de Paris, spécialisé dans les troubles du langage, disciple d’Alajouanine, Jean Métellus a assumé jusqu’au bout la double postulation du poète-médecin. Comment appréhender dans sa globalité cette œuvre à la fois scientifique et littéraire, qui cherche une articulation entre neurologie, linguistique et poésie ? Quel lien se tisse entre les troubles du langage et les troubles politiques d’un pays, Haïti, auquel le poète tente de redonner une voix ? Nous chercherons à répondre à ces questions en interrogeant la résonance particulière que l’attention portée par Jean Métellus aux troubles langagiers, donne à cette « haute maladie » (Pasternak), par laquelle le poète réagit aux convulsions historiques. Médecin assistant dans un centre de neuropsychiatrie de guerre, A. Breton fut confronté à des combattants polytraumatisés, victimes du shell shock. Il mit alors au point des procédés d’écriture – le surréalisme – à l’aide desquels ce tableau clinique se trouvait à la fois répercuté et mis à distance. Se référant à Freud, Breton croyait « sauver » le sens (inconscient), mais faisait allégeance à son insu au théoricien de la pulsion de destruction. Ce théorème, inspiré par l’observation du syndrome de stress post-traumatique, se situe à l’orée d’un champ d’études ayant pour objet l’« économie de l’attention ». Celle-ci apparaît aujourd’hui comme un enjeu à la fois artistique, neurologique et économique invitant au dialogue des disciplines. Les manuscrits des Feuilles d’hôpital de Lorand Gaspar recueillis à l’Institut mémoire de l’édition contemporaine (IMEC) laissent affleurer une constante d’écriture entrant en corrélation étroite avec l’éthique du médecin-poète. Accompagnant et soutenant une pratique médicale souvent contrainte par l’urgence et saisie par le doute, ces notes fragmentaires se présentent sous la forme d’un tissage de citations très variées. Un espace de dialogues s’y dessine, dont on montrera qu’il offre un laboratoire autant qu’une caisse de résonance de la relation au patient. Après s’être engagé dans une classe préparatoire aux études de médecine, Henri Michaux a opté pour une vie de poète et de voyageur. Explorateur passionné des ressources de la langue, il n’a jamais rompu avec une fascination pour l’intimité de son corps (en particulier de son corps malade) et des zones extrêmes de son psychisme, visitées sous hallucinogènes. De la médecine, il a dit avoir gardé « une sorte de goût ou de nostalgie » qui nous servira de fil rouge. Thomas Hugh Crawford, Professor of Science, Technology, and Culture, Georgia Institute of Technology. Thomas Hunkeler, Professeur à l’Université de Fribourg, Président de l'Association Suisse de Littérature Générale et Comparée. Danièle Leclair, Maître de conférences, Université Paris Descartes et UMR Thalim - CNRS / Université Sorbonne nouvelle. Hugues Marchal, Professeur de littérature française à l’Université de Bâle. François-Bernard Michel, Professeur (H) de Clinique du CHU de Montpellier, Président (H) de l'Académie Nationale de Médecine et de l'Académie des Beaux-Arts de l'Institut de France. Muriel Pic, Professeure de littérature française à l’Université de Berne. Alain Schaffner, Professeur de littérature française à la Sorbonne Nouvelle, Directeur de l'UMR THALIM. Florian Steger, Universitätsprofessor und Direktor des Instituts für Geschichte und Ethik der Medizin an der Martin-Luther-Universität Halle-Wittenberg. Emmanuel Venet, Psychiatre et écrivain.